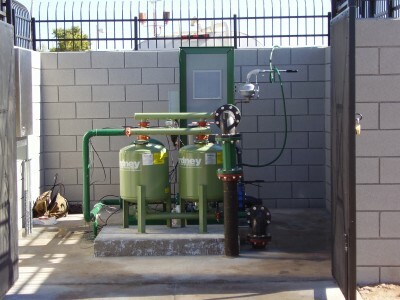 Is your pumping station supplying all your watering needs and doing it in an efficient manner? In today’s economic awareness, everyone is looking for ways to cut costs and expenses. If your pumping station has not been properly maintained or is suffering from control issues, we may be able to save hundreds, if not thousands of dollars simply by recalibrating your system or make repairs to bring your system back to factory specifications or improve the efficiency. Here at Pumps, Motors & Controls, we would like to extend an invitation to have our team of experts visit your pumping station for an energy consumption review and make recommendations on improving your systems efficiency or recommend any modifications that may save you costs in the long term. With this visit, we will provide a basic general maintenance on your pumps, motors, and controls, verify system performance, pressure and flow test all pumps, replace your pressure gauges (up to 2), exercise all your isolation and control valves, review any advanced control logic parameters to ensure they comply with factory settings, and generate a report to accurately estimate a costs savings as well as any maintenance concerns. We have over 60 years experience with golf course pumping stations in the gulf coast area and have extensive knowledge in the applications and operations of these systems. Most important, we understand the vital role your irrigation system has on your business and will work with you in a professional manner to make sure your system is always at it optimum efficiency. Give us a call, email, or fax us and let us save you money on your service and maintenance requirements or review your system for any upgrades to today’s state of the art control systems. We offer monthly, quarterly, and yearly maintenance schedules to fit any size budget.